One of the largest, and most important organs is your cat’s liver. It has a number of functions, such as in digestion, detoxification, sugar storage, breaking down red blood cells, and hormone production. It is found under the rib cage, encircling the stomach, and tucked up next to the diaphragm. In this article you will learn the more common causes of feline liver disease, along with the common symptoms to recognize in your cat. I will discuss the more steps in diagnosis of liver disease, and the large number of holistic options available if your cat is to be diagnosed with liver disease. There are numerous things that can cause liver disease ranging from tumors to infections. 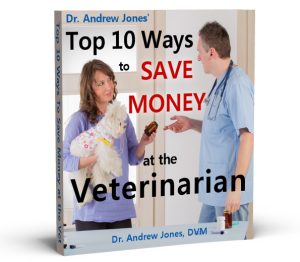 Your pet can get a viral infection affecting the liver (hepatitis). Common veterinary medications ( Non Steroidal Anti-inflammatories) can damage the liver and result in signs of liver disease. Cat’s are very sensitive to these pain medications, and a common symptom is liver damage. Fortunately the liver can do a wonderful job of regenerating liver cells, and can heal itself with supportive care and supplements. Cats in particular can get 2 specific types of liver disease, hepatic lipidosis, and cholangitis/cholangiohepatitis. Overweight cats are prone to developing a specific condition called fatty liver (sudden weight loss causes fat cells to permeate the liver). Cholangiohepatitis means inflammation of the liver and bile ducts, and is most often associated with cats that have inflammatory bowel disease; treatment for it often includes medication/supplements to suppress the overactive immune system. The signs of liver disease are many and varied; they are similar to many other cat diseases. In the early stages there are often no symptoms, and the first signs can be very non specific. Some of the more common signs start with eating; your pet’s appetite is lowered. Some cats are depressed, lethargic, and classified as ADR (ain’t doing right. As the disease progresses, there may be vomiting or diarrhea. Many cats show signs of increased drinking and urinating more than normal. Due to the lower protein levels in the blood (low albumin which is produced from the liver), you may see fluid retention which will show up as a swollen belly. A classic symptom is jaundice; the white area around her eyes and the gums may be yellowish. 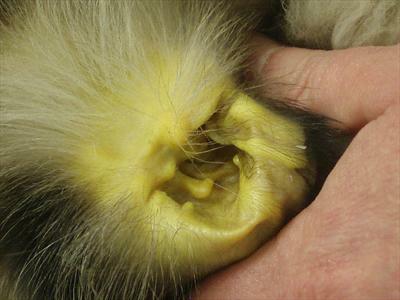 Feline liver disease is diagnosed with an initial physical exam, along with a detailed history which may reveal some of the classic symptoms, such as jaundice. Your veterinarian will suggest a basic blood panel; this may reveal many changes suggesting liver disease. You can see elevated ALP, ALT, GGT and bilirubin. Many cats are anemic (low RBC’s), and most have low protein levels, especially low albumin, which is produced by the liver. Urine changes often show bilirubin, and brownish/yellowish urine. If you suspect that your cat has liver disease, the first step is to confirm what type of liver disease your pet has. Your vet can perform some of the above specific diagnostic tests as there are so many possibilities. Adequate nutrition is needed to help the liver heal. Offer him his favorite food. With cats, stay with higher protein canned food warming it in a microwave will encourage eating. Some cats respond to attention, and petting to encourage eating, while others seem more likely to eat if being exposed to the relaxing pheromone found in Feliway. Many holistic veterinarians advise a natural, higher protein, zero carbohydrate diet; your veterinarian may advise a specific veterinary diet. Regardless the most important thing is it being a food that your cat likes, and wants to eat. The composition of the food is now near as critical as getting him to eat. Carnitine is an amino acid which has shown particular benefit for cats. This should be used for any cat with hepatic lipidosis (Fatty Liver). The average cat dose is 250 mg daily. Cats with hepatic lipidosis may have carnitine deficiency and by adding it, you’ll help improve your cat’s recovery time. Turmeric gives curry its flavor and yellow color, and has been used as an anti-inflammatory, to treat digestive and liver problems, skin diseases, and wounds while also being a powerful antioxidant. Antioxidants can fight free radicals and may reduce or even help prevent some of the damage they cause.. The dose of the dried herb is 100 mg per 10 lbs of body weight daily. It can also be given as a tincture of 2 drops per 10lbs twice daily. Many cases of liver disease are believed to be secondary to the immune system attacking the liver and bile ducts ( auto-immune). There are a number of supplements which can be helpful in normalizing the immune system, but there are particular ones that may be beneficial for the liver. Those are flavanoids, compounds in a class of their own. They compose the thousands of structures that give the bright color to fruits and vegetables. These include flavones, (apigenin), isoflavones (genistein), and flavonols (quercetin). Purchase a mixed bioflavonoid product that contains polyphenols, particularly EGCG (epigallocatechin-gallate), which is the specific flavonoid isolated from green tea. The dose for a 10 lb cat is 250 mg daily. Liver disease in cats is one of the more common veterinary diagnoses, and you should now be able to recognize the more common symptoms (anorexia, weight loss, vomiting, distended abdomen, jaundice). The causes are varied, with many cats having acute damage by reacting to a prescribed veterinary medication, or having immune inflammation in relation to inflammatory bowel disease. There are numerous holistic options to treat feline liver disease, ranging from the herb milk thistle, amino acid carnitine, to flavanoids including green tea. I was just wondering if all these vitamin and suppliments that are out there are good for my cats. I came across this Vets+Best to help with my older cats urinary problem and I’m not worried about giving it to her because it comes from all natural ingrediants. I don’t want to give my cats any suppliment that they do not need but I want to make sure they are getting all the nutrition they need. I feed my cat only out cans and no fish, only chicken, turkey, beef , and some with liver and cheese,question, do my cats need fish oil because they don’t get it in thier diet. do fish oil supplements have the mercury and bad stuff they are now finding in fish. Would like to see information on can cat food containing fish. Thanks again! everything you talk about is wounderful. i plan on getting all of the books and cds when i can afford too. all of the newsletters are very informative and love to read them all. i just wish you were here in the usa so i could move to where you would be located so i could have you as my animals vet. please keep up the good work that you do. i save everything that i get from you. i would love to know a good vet in my area that you could find for me to go to.